It’s pretty well understood by most that during the super hot and steamy months, drinking plenty of water is essential in preventing dehydration. With the cooler temps rolling in, the feeling of thirst when playing outside or competing in outdoor sports is less prevalent. Therefore, it’s vital to teach kids the importance of hydration all year long so that they continue to drink enough water despite feeling less thirsty in the colder temperatures. Kids need to realize that our bodies still need the same amount of water to function properly and stay healthy. The Kidney Brothers are happy to teach kids the importance of hydration through a fun football analogy. Back to school time doesn’t have to mean that physical activity and outdoor play has to come to an end. While we may be busier with school, homework and extra-curricular activities, it’s still so important to make sure kids are staying active. It’s easy to get home and let the kids watch TV or grab an Iphone to watch, but physical activity is the best answer for good health, as well as help the kids sleep better at night! The temperatures outside remain hot and so, in addition to getting outdoors to play, the other reminder is to make sure kids are taking water breaks to rehydrate. It’s easy for kids to get caught up playing and having fun with friends, however, a regular water break will ensure that kids are getting in enough water to stay hydrated. So for back to school time, make sure to keep kids active and hydrated! Download the coloring sheet today to keep kids active and hydrated during the busy back to school time! Water, water everywhere! We hope that is what you are saying during these hot summer months! It’s so important to make sure that you and the kiddos are drinking plenty of water to avoid dehydration. Remember that water is always the optimal beverage choice especially when thirsty from physical activity or a long day outdoors. Read on for water tips to stay hydrated this summer and for ways to educate the kids on why water is such a healthy choice. Tip 1: Freeze water bottles. Before you head out for the day, grab a frozen water bottle for easy access to a refreshing, cool and healthy drink. Tip 2: Cut up a watermelon. Small pieces of a cut up watermelon can be stored in the fridge for easy access to a tasty, hydrating snack. Tip 3: Add fruit or veggie slices. To liven up a plain glass of water, add fruit or veggie slices like lemons, limes, oranges or cucumbers. 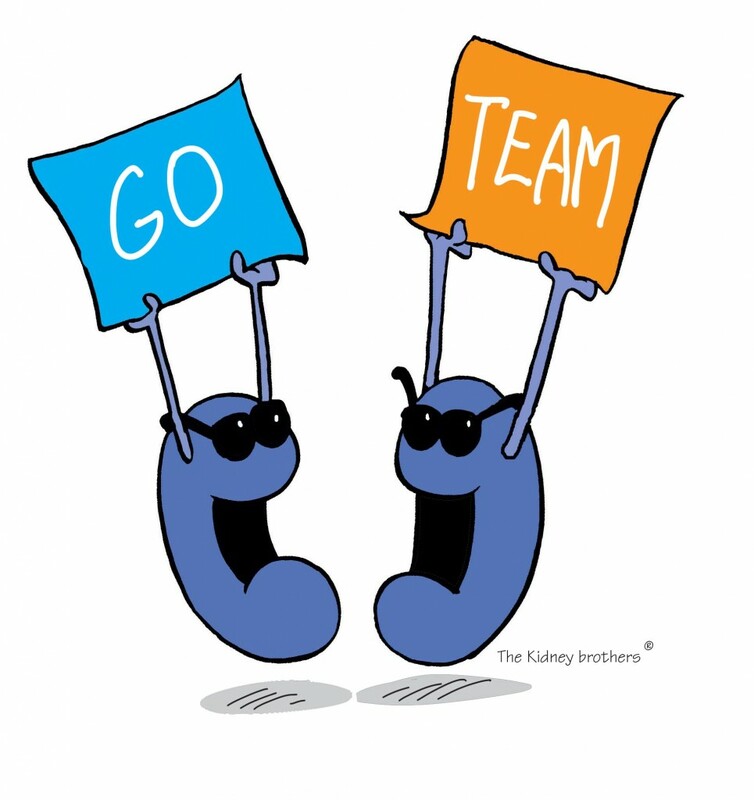 Lastly, check out our OrganWise water resources showcasing The Kidney Brothers! To help your children learn more about the importance of keeping their bodies hydrated, we have created two fun and FREE activity sheets for kids. Did you know that drinking water is an important component of an OrganWise, healthy body? Be sure to drink at least 8 cups of water a day, especially as the weather warms up. The more you offer this ice cold beverage to your children instead of sugary alternatives, the more likely they are to select it when making choices outside of the home. Click on the links below to access our free drinking water activities. 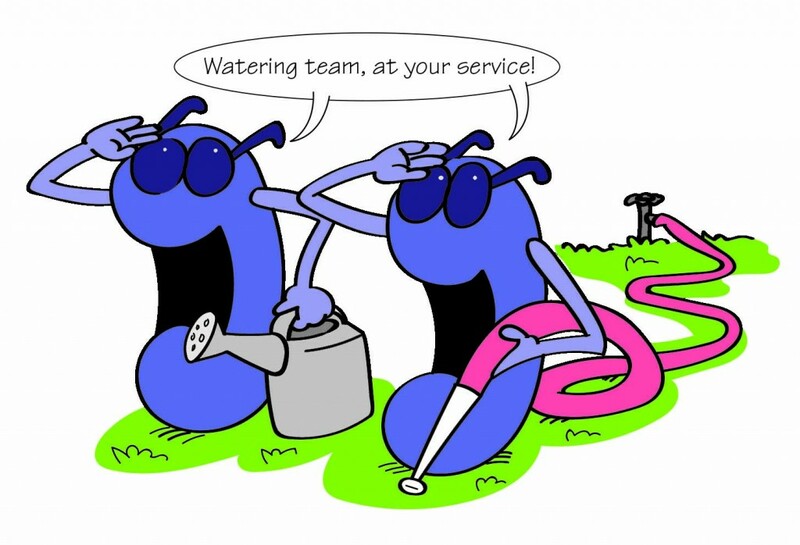 We have combined the importance of drinking water and addition in a fun activity sheet and have a water-inspired, coloring sheet for the younger kids.